Join us on Friday, October 7, 2016, 3pm to 5pm at our new location for an open house. Neighborhood Partnerships has moved into our new office at 2501 SW First Avenue, Suite 120, Portland, OR 97201. 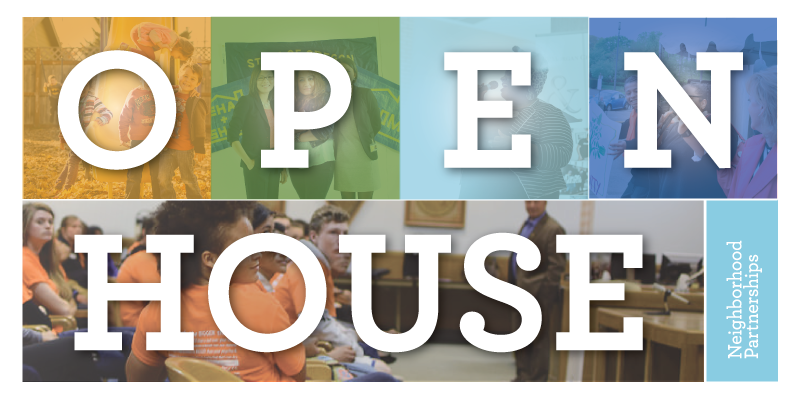 We'll have refreshments, and give you a tour of the new space at the Open House! RSVP here. The RE:Conference is shaping up! Look for an email next week with the detailed agendas and session descriptions. In the meantime, mark your calendar and register today so you’ll be sure to save the time to join us. Apply for scholarships! The deadline is 10/15. We’re continuing to give you previews of what the RE:Conference will bring. On November 16th, Dr. Crystal Hall will join us at the RE:Conference to share what she’s learned with her work with the White House Social and Behavioral Sciences Team. Much of Dr. Hall’s recent research explores the ways in which wrong assumptions may inform our program design. She has looked at housing as well as financial decision making, and has insight into how we’ve missed opportunities for impact. If we look closely at programs in Oregon, what incorrect assumptions might we find? Dr. Hall’s work serves as a reminder and a challenge – we must be brave enough to turn the mirror onto our own work and name the errors in our program design. We can use the wealth of behavioral science research to design programs responsive to the behaviors and habits already present in our communities. RE:Conference registration is open, and scholarships are still available. Register today! Read more of this blog post here! Last Thursday, September 22nd was the National Renters Day of Action! 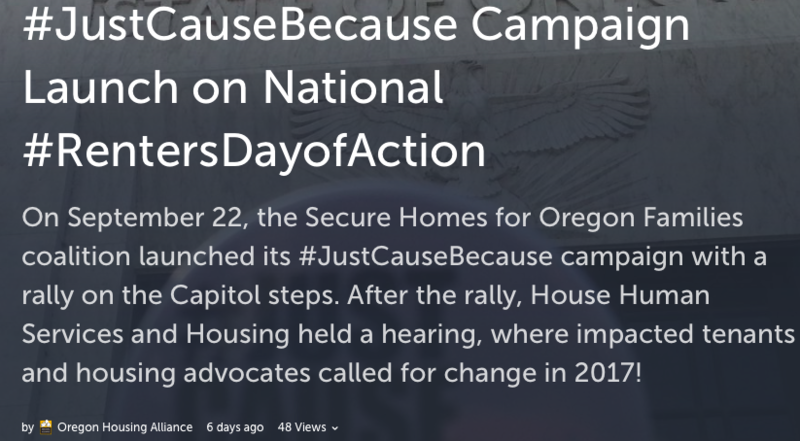 The Oregon Housing Alliance and their partners and members celebrated in Salem with a rally on the Capitol steps and a hearing in the House Human Services & Housing Committee. The House Human Services & Housing Committee heard about the 2017 Housing Opportunity Agenda and more. Check out the Storify here! Neighborhood Partnerships (NP) works across Oregon to increase access to opportunity. We work collaboratively to catalyze and manage research-backed initiatives, systems, and policy changes that help Oregonians achieve housing stability and build financial security. We work as advocates, connectors, and program managers to increase resources, improve public policy, and spark innovation and collaboration. We are hiring for two great positions, an IDA Program Coordinator and a Development Manager. Learn more about these job openings and apply today! 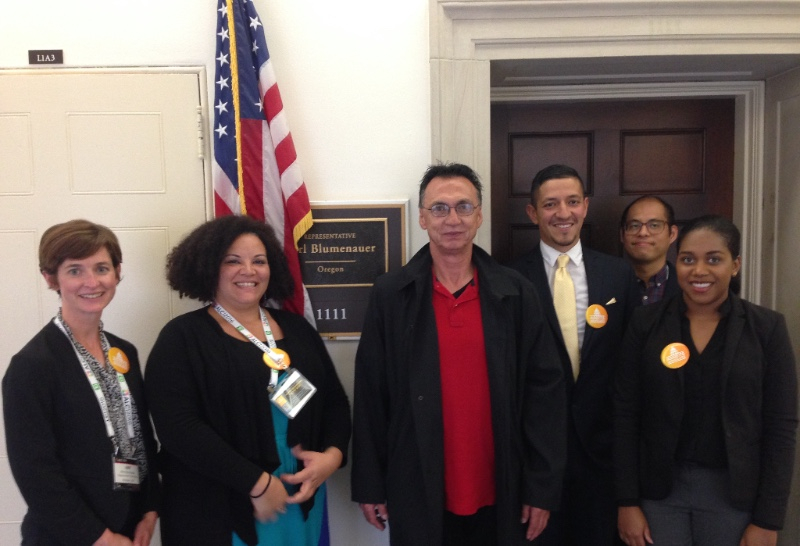 This week, NP Staff, Oregon IDA Initiative partners, and Asset Building Coalition partners have been in Washington, DC for the CFED Assets Learning Conference. Yesterday, everyone visited Capitol Hill to thank our elected leaders for their commitment to asset building and creating opportunity for Oregonians with low incomes. Check out our Facebook page for more photos!